Below are some guidelines for shipping firearms and ammunition, along with notes related to specific shippers. We encourage you to review the specific shipper's web site as shippers have different guidelines. Federal law requires all modern firearms be shipped to a holder of a valid Federal Firearms License (FFL). Any person who is legally allowed to own a firearm is legally allowed to ship it to an FFL holder for any legal purpose (including sale or resale). A nonlicensee may ship a firearm by carrier to a resident of his or her own state or to a licensee in any state. A common or contract carrier must be used to ship a handgun. In addition, Federal law requires that the carrier be notified that the shipment contains a firearm and prohibits common or contract carriers from requiring or causing any label to be placed on any package indicating that it contains a firearm. When in doubt, we suggest arranging for transfer through a licensed dealer. Violation of the CFA is a felony, and penalties for violation are severe. Any shipper who does not have an FFL is considered to be an unlicensed person. Unlicensed persons must ship modern firearms to a licensed FFL dealer only. If the buyer is not licensed, they will need to make arrangements to have the item shipped to a licensed FFL dealer in their state. 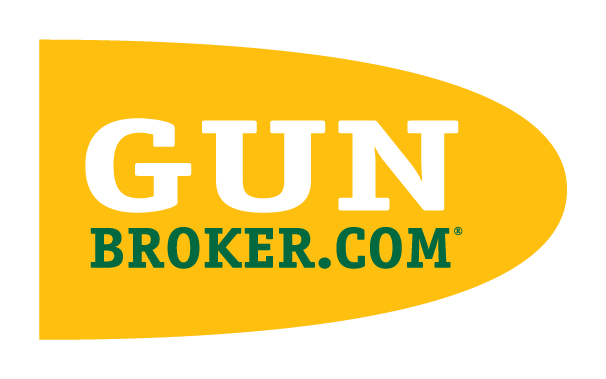 Before you ship a gun, the buyer must fax or mail you a copy of the dealer's signed FFL license. You can only ship the gun to the address on the license. You should take the copy of the signed FFL with you when you take the item to be shipped in case the shipper wants to see it. Antique firearms need not be shipped to a licensed dealer. They can be shipped directly to the buyer. Click here for a definition of Antique firearms. These items need not be shipped to an FFL holder. Note, however, that each firearm contains at least one part the ATF considers a firearm, typically the part containing the serial number. This part must be treated as a complete firearm when shipping the item. Ammunition must be shipped separately from packages which contain firearms (including handguns). Special labeling is required. Some shippers treat ammunition as dangerous or hazardous materials. Guidelines vary by carrier, so please check directly with the carrier for specific details. You must inform the carrier the package contains a firearm. The firearm cannot be shipped loaded. Ammunition may not be shipped in the same box as the firearm. Specific shippers, such as US Mail, FedEx, and UPS, have different rules related to firearms and ammunition. Please review their websites for guidelines about shipping firearms and ammunition. Ammunition must be shipped as hazardous goods via Ground in compliance with "Limited Quantity." Special labeling is required. Ammunition must be shipped as hazardous goods via FedEx Ground in compliance with "Limited Quantity." FedEx Ground will accept shipments of ammunition. Special labeling is required. We recommend you read the Post Office regulations on Hazardous, Restricted and Perishable Matter before shipping a firearm through the US Mail. Page C-39, section 3.0, Rifles and Shotguns: "Although unloaded rifles and shotguns not precluded by 1.1e and 1.2 are mailable, mailers must comply with the Gun Control Act or 1968, Public Law 90-618, 18 USC 921, et seq., and the rules and regulations promulgated there under, 27 CFR 178, as well as state and local laws. The mailer may be required by the USPS to establish, by opening the parcel or by written certification, that the gun is unloaded and not precluded by 1.1e." Page C-39, section 6.0, PROHIBITED PARCEL MARKING: "For any parcel containing a firearm or a ballistic or switchblade knife, any marking that indicates the contents is not permitted on the outside wrapper or container." Page C-37, section 1.3, Authorized Persons: "Subject to 1.4, handguns may be mailed by a licensed manufacturer of firearms, a licensed dealer of firearms, or an authorized agent of the federal government......."